Business licensing is a necessary part of running any successful business. Without complete and up-to-date licenses, your business can face fines, closures, delays, and other penalties. Compliance with over 150,000 federal, state, and local licensing agencies across the United States is no small challenge. 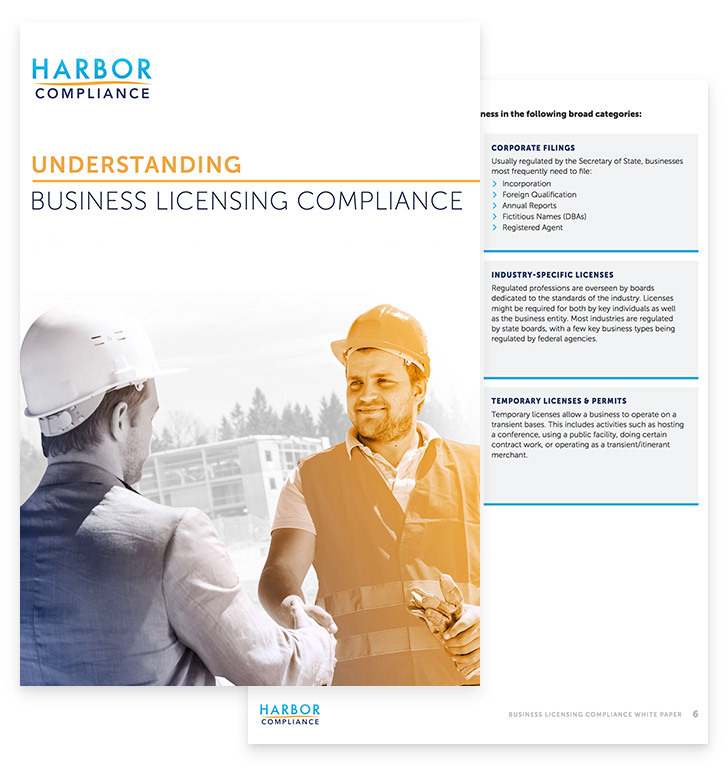 This white paper provides an overview of business licensing and best practices for making your compliance efforts easy.